If he's Catholic, can he be the next Pope? Things have come to a sad state when the Vatican announces that cartoon characters are Catholic. Come on, Vatican, are you really that desperate for church members that you’re willing to lasso fictional characters? That’s the approach these days for everyone who has a beef with anyone else. Two women were killed Monday at the post office in Henning, Tennessee, the Lauderdale County Sheriff’s Office said. Local and state police are on the scene with the FBI. … CNN affiliate WMC-TV in Memphis reported two female victims were killed in a shooting that was reported to police about 9 a.m. Henning is located about 50 miles northeast of Memphis. Despicable violent depravity. But hey, if gun laws were strictly enforced the only people who would have guns would be criminals. Oh wait, they already do! Oh well, shoot ’em if ya got ’em. A new Muslim claim surpasses all boundaries: an Algerian paper reports that an old Torah scroll found near Temple Mount includes the name of Mohammed. However, the reporter apparently has mixed up his understanding of “scrolls” and Hebrew adjectives. Really people- if you don’t know what you’re doing, just don’t do it. Stop the lunacy. Stop the dilettantism. Just say no to stupidity and rank error. On the one hand we can’t and ought not equate Islam with terrorism because, in spite of what the tea partiers and the imbeciles at Fox News think, Muslim does not equal terrorist. Nor can we ignore Islamic brutality when it does occur and is not publicly denounced by fairer minded Muslims. The UAE’s highest judicial body says a man can beat his wife and young children as long as the beating leaves no physical marks. The decision by the Federal Supreme Court shows the strong influence of Islamic law in the Emirates despite its international appeal in which foreign residents greatly outnumber the local population. The court made the ruling earlier this month in the case of a man who left cuts and bruises on his wife and adult daughter after a beating. It says the man was guilty of harming the women but noted that Islamic codes allow for “discipline” if no marks are left. 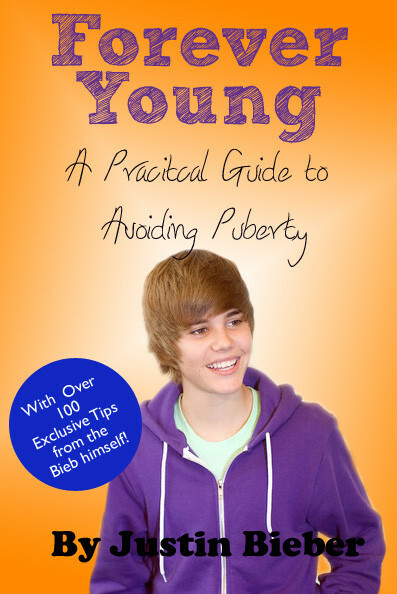 It also says children who have reached “adulthood” – approximately puberty – cannot be struck. The ruling was reported Monday in the Abu Dhabi-based newspaper The National. That’s barbarous. Just simply barbarous. And yes, it’s also totally depraved. Let me say this as clearly as possible: domestic violence is NEVER acceptable under ANY circumstances by ANYONE, ANYWHERE, ANY TIME. Our colloquium with Professor Casey came to a conclusion today. You can still access the 10 excerpts from the book here and if you haven’t entered yet you can until midnight tonight and then the winner of the volume will be announced in a day or two after James and I have a chance to consult. But today is also noteworthy because it’s the birth anniversary of Prof. Casey. So I want to wish him a very happy day with many joyful returns in good health and vitality. It seems inexplicably famous while simultaneously a wretchedly bad singer Justin Bieber isn’t welcome at a Laser arcade in Canada since he’s given to punching people (little kids!) who taunt him. Police in Richmond, British Columbia, are investigating claims that a 12-year-old boy was hit by the pop star Friday during a game of laser tag, according to the CBC.ca. The owner of Planet Lazer told the Canadian news site that the Biebs was indeed bounced out of the building after a boy complained to the staff of a physical altercation. The 16-year-old Bieber reportedly showed up at the facility with two bodyguards and played a round of laser tag with a bunch of other kids and “accidentally” hit the kid after being cornered during the game, according to Canadian blogger zacktaylor.ca. Although the 12-year-old reportedly suffered only minor injuries, his parents decided to call police anyway (cha-ching!?!). Bieber’s rep told TMZ.com that the story was untrue. Robert Deutsch sends along an excerpt from the Nov/Dec 2010 issue of BAR (hey if they can lift my stuff without proper attribution I can share their stuff with proper attribution when it’s sent to me) which discusses the so called ‘Canaanite bracelet’ which is really a 20th century bedouin product. You can download a pdf here. 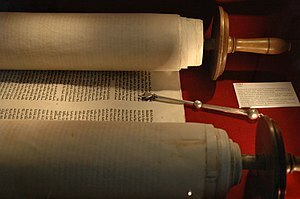 John Byron asks the question- which I think an odd one (but one that makes the rounds every few years): should seminary students learn Hebrew and Greek? I want to chip in some observations on, not John’s response- you can read that for yourself and make your own evaluations- but on the nature of the question itself. The question, it seems to me, is a symptom of a sickness. No one would ever, ever tell first year medical students ‘you don’t need to learn basic biology’ nor would anyone tell a first year physics student ‘you don’t need to learn calculus’ and then follow up those statements with ‘there are already plenty of good textbooks out there and all you really need to do is consult them’. The question shows a lack of appreciation for the absolute and utter necessity of Pastors – of all people- charged with proclamation of the Word of God- to be familiar at first hand with the text they are proclaiming. The ‘busy pastor’ excuse is a load of hogwash. Pastors aren’t too busy – they are – for the most part – too lazy. I have known and do know a lot of Seminary students and Pastors and believe me, they have leisure time aplenty to play golf, ride their motorcycles, play video games, and generally waste time. No, the time excuse is just a smokescreen for the sort of indigence that’s too common these days. Pastors who attempt to interpret scripture without knowledge of the biblical languages are parrots, simply mouthing words they may or may not understand. Seminaries, and seminary professors, are duty bound to reinforce the necessity of linguistic ability at every opportunity. To fail to do so is to give pastors and students permission to both be lazy and to be unacquainted with the very text for which they bear interpretive responsibility. Or as the Rabbis put it- reading Scripture in translation is like kissing your beloved through a sheet. It may work at one level, but it’s never satisfying. UPDATE: Don’t, for any reason, miss Scott’s take.